This year our guest speakers are Paul Cole from Christian Men’s Network, and Chuck Brewster from Champions of Honor. 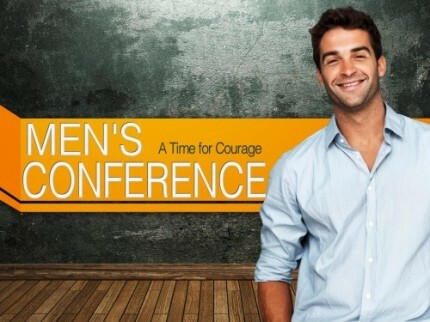 This multi-hour event helps men explore the battle for biblical masculinity and begin learning how to be better sons, husbands, fathers and church leaders. Emphasizing leadership, fathering and successful living, A Time for Courage will inspire men into action one of the keys of the day is the truth, “Maturity doesn’t come with age, it comes with the acceptance of responsibility”. WHERE: Right here at FOB! Paul will also be preaching Sunday morning , 8/21 at 10 AM.